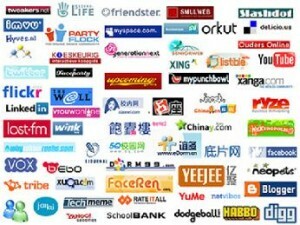 Home/Technology/Internet/How Many Websites Are There on the Internet? These days it seems that you’re nobody if you don’t have a website. Both businesses, clubs and societies and individuals are keen to have an online presence which means that the number of sites that exist has exploded in recent years. This is partly down to ecommerce, there’s been a huge increase in the number of companies selling online. But websites are also useful as a Membership Management System for associations and societies allowing them to streamline renewals, newsletters and so on. But exactly how many sites are there on the web? That’s a difficult question to answer and to a certain extent it depends on who you ask. How Do You Measure Sites? Part of the problem is that sites come and go all the time, so it’s hard to ever get an exact figure. There’s also the issue of a single domain name being capable of hosting many different sites. Internet research firm Netcraft has been running its regular web server survey since 1995. Its latest figures for March 2015 put the number of host names at 878,346,052. That’s compared to less than 20,000 in 1995. However, host names don’t necessarily equate to active sites. Netcraft puts the number of these at 178,164.215. This is because not all hosts on the web will house websites and some sites will be available on multiple hosts. There’s also the issue of domain names. There are over 117 million registered domains for .com alone. Names may be registered and not used, also companies may have a single site that can be accessed via a number of names – to take account of different markets or business activities, or simply to prevent someone else registering the name. For example a business may register .co.uk and .com domains. With the recent release of new top level domains the number of domain names is set to increase still further. The number of active sites will increase more slowly as website developer like ofec.co.uk can point multiple domains to the same site. The first ever website was set up by the CERN physics laboratory as long ago as December 1990. By June 1993 there were 130 hosts online and from there growth has been rapid, by the end of 1993 the number of hosts had ballooned to 623. By 2011 there were an estimated 256 million host names. That’s a growth rate of more than 1,100,000 percent since 1995. From 2011 on there’s been a leveling off in the number of active sites, though the number of host names has continued to grow slowly. It’s also interesting to look at the software used to serve websites. Apache remains the most popular, though its market share has declined sharply since 2012. Whilst Sun servers were popular in the early days of the Net they’re now insignificant. Much of the growth has come from Microsoft which is now second only to Apache in terms of its share of the web server market. Google, which many people think of as a giant of the web, has less than a three percent share of the server market.